The Venus flytrap (Dionaea muscipula) is a carnivorous plant equipped with small traps that catch insects and is commonly sold as a houseplant. A popular myth suggests that since the insects it normally feeds on are rare indoors, it would wise to feed it little bits of hamburger to replace its missing prey. But don’t! Because that bit of friendly advice is actually a pervasive but harmful myth, handed down from generation to generation. Hamburger is too rich in fat and proteins for a Venus flytrap and will give the plant the vegetal equivalent of indigestion, possibly leading to its death. 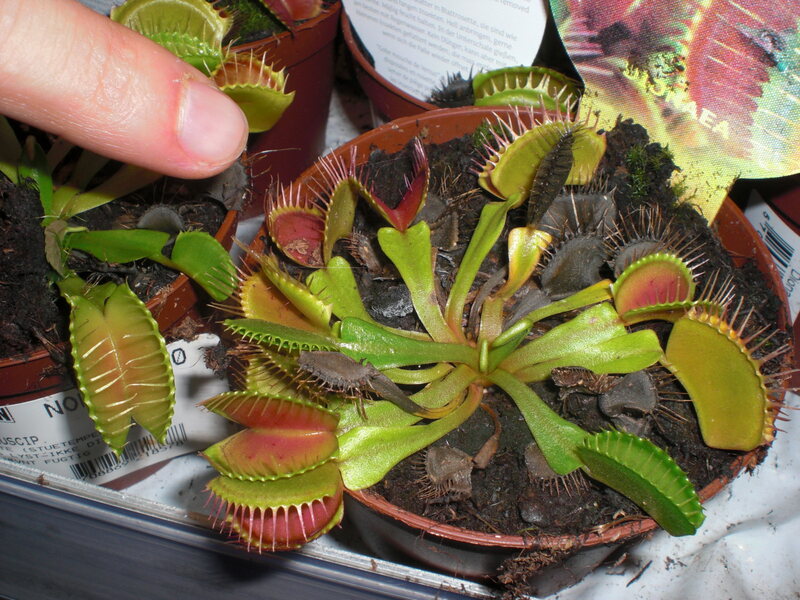 You can feed it a fly or other small insect you’ve caught, but not meat … nor fertilizer, which is also toxic to the Venus flytrap as it is with most carnivorous plants. In fact, your Venus flytrap will do just fine without ever receiving “food” at all, growing very well and surviving for many months. Although the Venus flytrap is widely sold as a houseplant, it is in fact poorly suited to indoor growing. Yes, you can keep it alive for a while, but its long-term survival is far from certain, because it is adapted to special conditions that are hard to replicate indoors. 1. After purchase, remove the plastic terrarium it was sold in. The covering served to keep the plant in good condition during transport, but is not useful for the plant’s long-term survival. Yes, it does need high humidity, but it also desperately needs good air circulation, simply not possible inside a small closed terrarium. 2. Since the Venus flytrap will not tolerate the calcium and other chemicals present in commercial potting mixes and in tap water, grow it in sphagnum moss (the medium it usually grows in when purchased) and water only with rainwater, melted snow or distilled water. Dehumidifier water is another possibility. 3. Keep the pot sitting in a saucer of water at all times, because you’re trying to recreate the conditions equivalent to those of the North and South Carolina swamps where it originally grew. 4. It needs full sunlight (it can also grow under fluorescent or LED grow lights) and high atmospheric humidity. 5. Your Venus flytrap will be much happier outdoors in full sun during the summer than indoors where the light is always considerably reduced. Just make sure its pot soaks in water at all times. It is well adapted to hot summer temperatures, so that needn’t be a concern. 6. In winter, under the influence of short days, the plant will go dormant and usually lose much of its foliage. It must then be given a cold but frost-free location between 33 and 50°F(1 and 10 °C). 7. If you live in a warm temperate to subtropical climate (about USDA zones 8 to 10, or protected spots in zone 7), create your own rainfall-watered sphagnum bog outdoors and grow it there year-round. Just be ready to cover the plant with mulch in case of a prolonged period of frost. If you’re a laidback houseplant gardener, why not just consider the Venus flytrap a temporary plant, one you can grow for a few months, then toss? 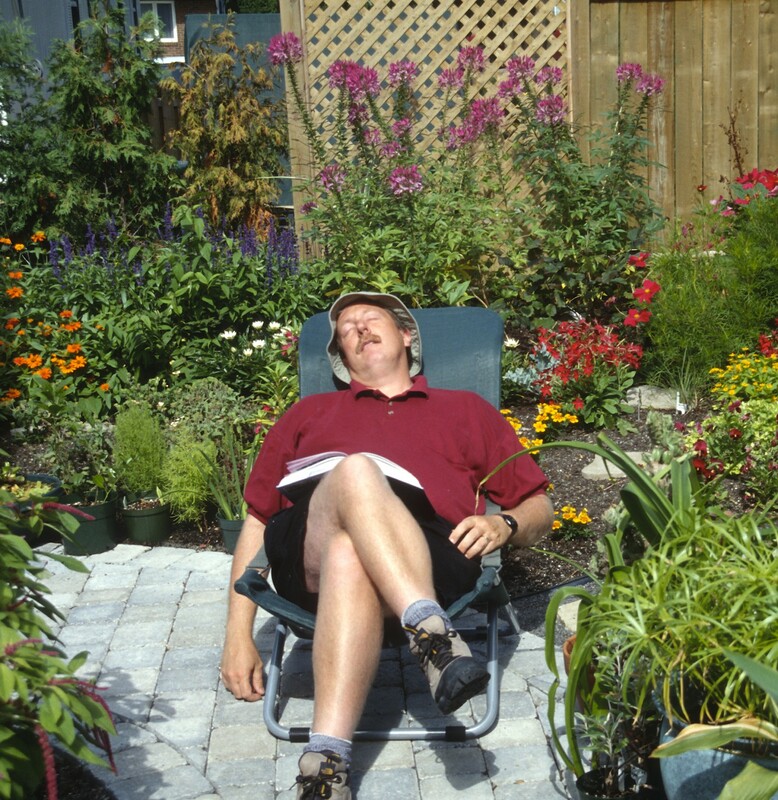 You already do this with many gift plants and all your garden annuals, so it really isn’t that much of a stretch. Still, give your Venus flytrap the best possible conditions while it’s alive and encourage local children to come and bring it small insects to eat (children, being naturally sadistic, will adore the experience!). But don’t cry over it when it finally dies: it was simply not designed to live forever in a home environment.